Southampton Hoteliers Association presented local charity, FareShare, with a cheque of £2,000 following money raised at the inaugural Southampton & Region Hoteliers Association Hospitality Awards Ceremony 2018 that took place in February. 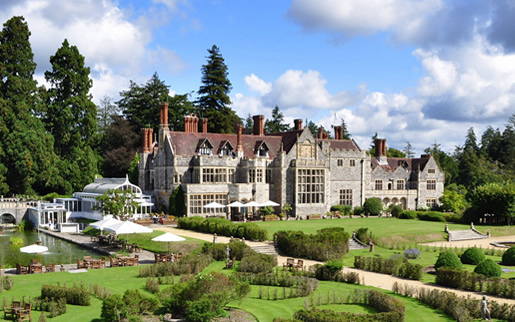 Award-winning country house hotel Careys Manor in the New Forest has appointed a new general manager. 5th April - This spectacular interactive expedition is created with more than two million LEGOÂ® bricks and is sure to excite families, LEGO and dinosaur enthusiasts alike. 25th April - We're delighted to be joined this month by Matt Macri-Waller Founder and CEO of Benefex. Located in The New Forest National Park and set in 40 acres of private grounds, Rhinefield House is a magnificent Country House situated 15 minutes from the M27. Directions: Leave M3 at junction 13, keep to left-hand lanes and take M27 marked Bournemouth / The West. At junction 14 keep to right-hand lanes and merge with M27. Leave the M27 at junction 1 and take the A337 for Lyndhurst. In Lyndhurst take the A35 for Christchurch for about 3 miles then turn off A35 at hotel signs, continue along ornamental drive for about 1½ miles. Located in The Heart of The New Forest National Park and set in 40 acres of private grounds, Rhinefield House is a magnificent Country House situated only 15 minutes from the M27. 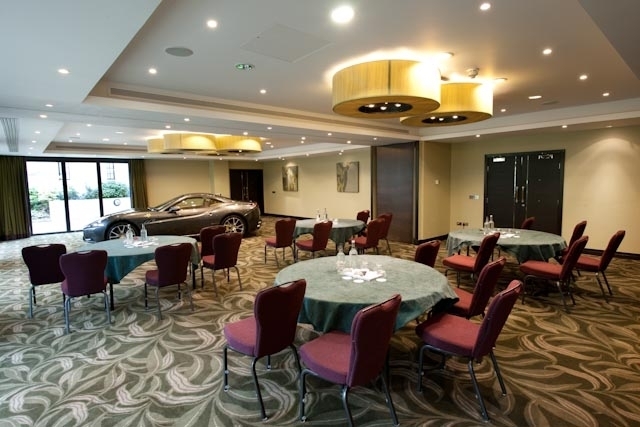 Rhinefield House offers a dedicated meetings facility with Hurst castle and three syndicates. Hurst Castle can accommodate a capacity of 160 and can be split into two rooms, giving total flexibility of space. The hotel can provide dining in the Grand Hall, a replica of the Palace of Westminster. 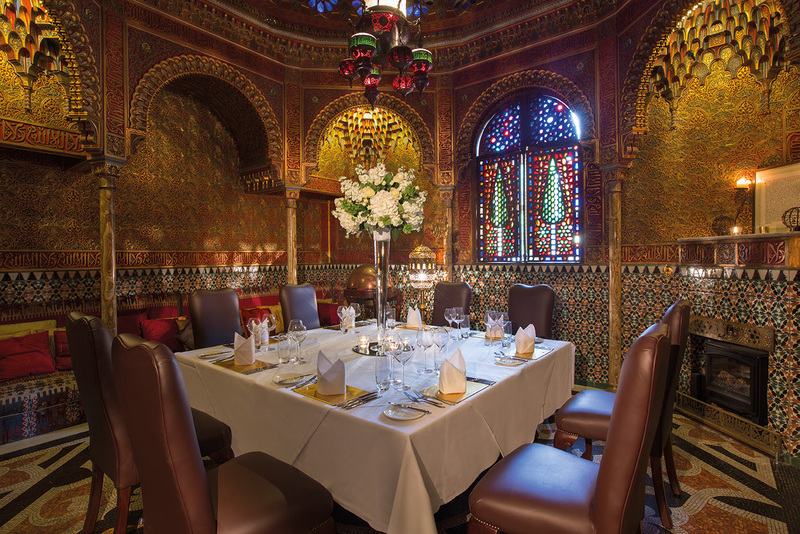 For dining of up to 12 guests, the breath-taking Alhambra is a memorable option. Based on the Alhambra Palace in Granada, Spain. AA Rosettes awarded for Restaurant.